Appearance (0-20): Initial impression just by looking at the cigar, is quality. The wrapper is a beautiful chocolaty brown color, with tons of grain all throughout. The grain gives a rustic look to the cigar, which correlates over to the flavor as you smoke. The band looks ornate by the overall design colors and elements. Black and gold come off as royal, with elements that remind you of Cohiba (the good ones) and the L'Atelier brand. There is a small pigtail at the end, which tops of the beautiful smoke. 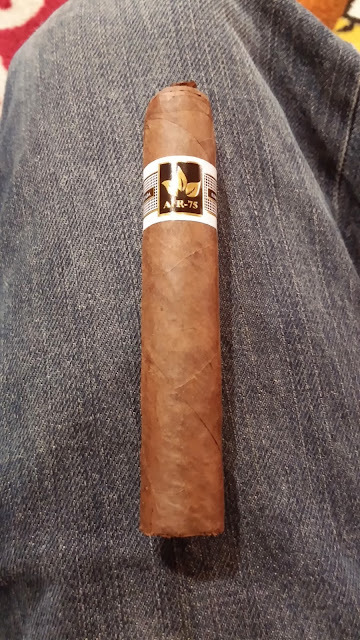 Construction (0-20): During pre-light inspection, the cigar was packed well throughout and didn't have any noticeable flaws. The cap snipped off smoothly with no debris, and lighting up was a breeze. As you get into the heart of the cigar, we are firing on all cylinders. The draw was excellent, the burn line stayed even throughout, and the ash coiled nicely for almost 2 inches before I tapped it off. You can tell that quality was put into this cigar. Strength (0-20): Listing as medium-full, I think PDR came in spot on with the AFR-75. While not overpowering, there is definitely strength behind the blend. I think the overall balance was very well done in moderation. Flavor (0-20): Flavor bomb? Yes sir! Start to finish, the flavor was excellent. From the first few draws, the flavors start to build up. Starting off, you'll notice underlying earthiness and sweet molasses and chocolate. The background has small dashes of spice with give an excellent balance. One of my favorite qualities in a cigar are sweet and spice in the same blend, and this is moving into that area. Personal preference, I wish there was just a bit more spice. As you move throughout the smoke, the consistency really hold true. Flavors stay relatively the same, but the flavor profile will increase. More cocoa, sweetness, earth, and bits of spice build as you smoke down to the nub. Believe me, you will smoke to the nub. Value (0-20): Coming in at around $15, I think there is some room for improvement. If we were down in the $10-12 range, I think this is a homerun. Once you get into the $12+ range, there are some strong players out there like Padron and Liga Privada. 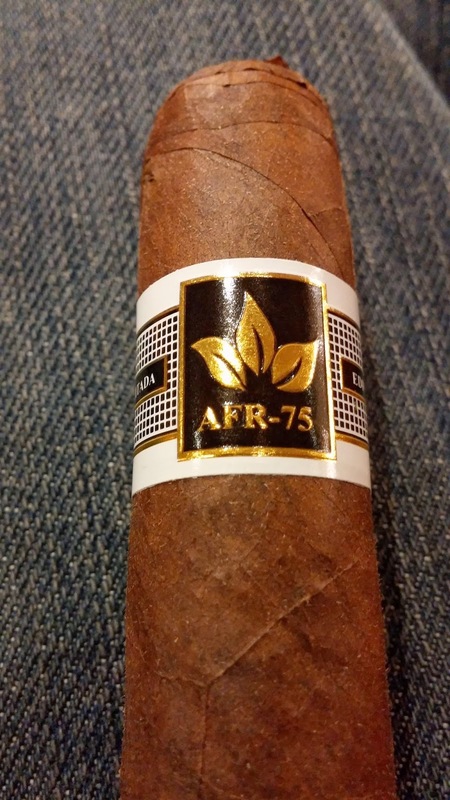 The cigar was excellent in its own right, but starts to move out of the value factor for me. 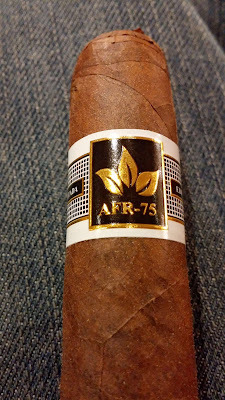 Overall (0-100): PDR was kind enough to send out a sample, and this cigar totally took me by surprise. There are a few PDR smokes that I enjoy, but this is a game-changer for them. If this is the kind of cigar that they are moving towards, I think they will grab the attention of a lot of cigar smokers. 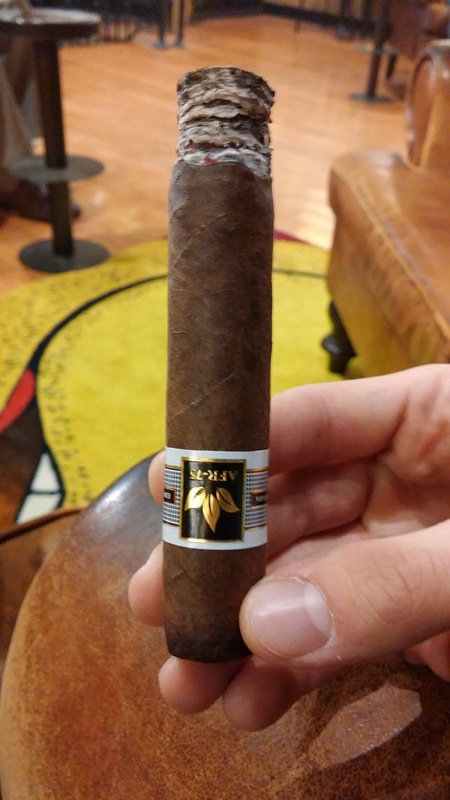 The cigar looks the part, flavors were consistent start to finish, and the overall experience was very enjoyable. PDR, well done and keep them coming!